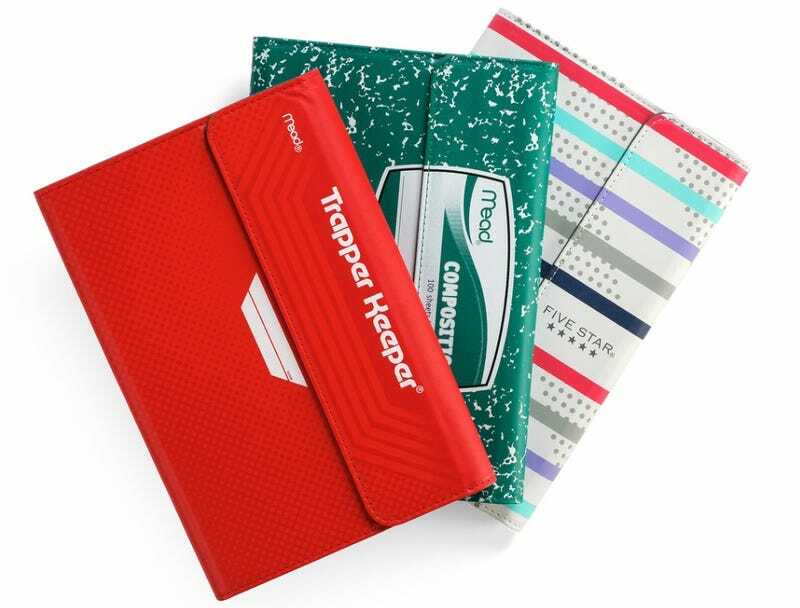 In one of the more brilliant ideas to prey upon our nostalgia, the Trapper Keeper is returning to back-to-school shelves in a form far more applicable to our present-day lives: As tablet cases. Here's the even better news: They are bringing back some of the traditional Trapper Keeper designs that you might have stashed in your locker 30 years ago. Case-maker Kensington is partnering with Mead for the Trapper Keeper relaunch, so in addition to the gloriously 80s graphics, there is also a composition-style notebook, as well as a version of the Pee-Chee sketchbook you might have doodled upon in class. While these are excellent revivals of an iconic 80s brand, I'm a little disappointed that they didn't go far enough with the graphics. Who could forget the "Designer Series" launched in 1988 which blasted into our lives with radical computer-generated art that we were proud to carry under our arms?